Given the company's frankly spammy method of teasing pre-release information, we half expected OnePlus to announce the month one week, the week, the next, and the day a week after that. It would certainly be in line with the way they've been announcing various hardware and software features lately, including a vague price, processor information, screen resolution, and voice activation features. Maybe the announcement will come in fifteen five-minute installments. OnePlus hasn't set a location for the One reveal event, but given its size and youth, I wouldn't expect a PR blowout like we're used to seeing from the larger phone companies. It may be a web broadcast or a simple press release. 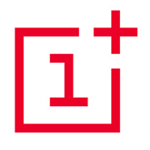 Also note that this is the announcement of the announcement, and it will likely be a few weeks after April 23rd before the OnePlus One will be available for purchase. The company has already confirmed that the One will be sold unlocked and off-contract with a price of less than $500 USD.